OK, I have yet again been slack in my duties to update this forum, especially the long promised continuing on the 'Tutuban/Tayuman Photo Essay'. 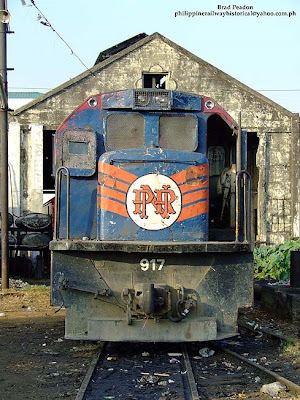 Seems now days I am getting to the age where funerals are becoming more common than time spent on my beloved Philippine railways. Indeed, that awful work thing also seems to distract me from life's more important duties as well. Well you need not fret no more my friends, because here is yet another installment in the series, with a fourth one to come soonish. 3- Large shed of unknown use. 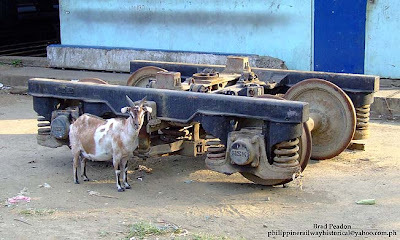 Its on railway land so was likely once used for rail freight purposes. 4- Rakes of stored freight wagons. 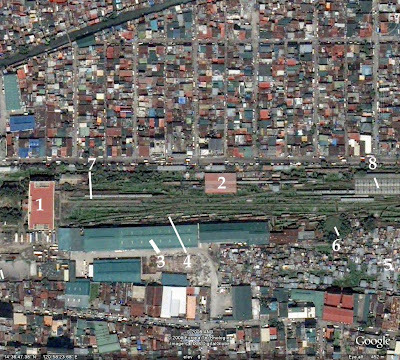 5- Squatters on PNR land. 6- Former turntable, now a rather large ands green swimming pool. 8- South end of carriage sheds. 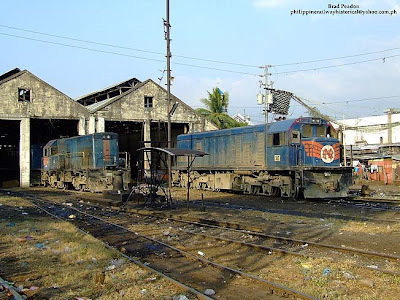 Above is two views of 917 outside the Tayuman loco shed. We plan to cover the shed in more detail during future installments. wishing to get some scrap money.